In most cases, we recommend diluting essential oils with a carrier when you’re applying an essential oil topically (on your skin). You can view our list of recommended carriers below. Some essential oil distributors promote direct or “neat” application. However, there are important reasons why savvy consumers choose to dilute. 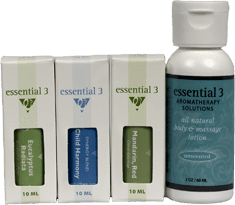 Pure essential oils are highly concentrated and if not properly diluted they can cause skin irritation, or after long-term use, sensitization which is a type of allergic reaction. Many are under the incorrect impression that since essential oils are natural there is no need to worry about misuse or overexposure. Unfortunately, only after an adverse reaction do they realize they can no longer continue using their favorite essential oil. By diluting you minimize the risk of sensitization. The good news is that using a carrier actually enhances the effectiveness of the essential oil. The carrier not only dilutes the concentration, it minimizes evaporation while binding the molecules to your skin; this allows for coverage of a larger surface area and increases transdermal absorption. Using a carrier not only boosts the effectiveness of your essential oil application, it also saves you money since each bottle will last longer! See application methods for ratios to use in baths, diffusers and more. ½% dilution for babies and infants. ½% – 1% dilutions for children, elderly, frail, pregnant or individuals with health concerns. 2% dilution for whole body massages on individuals 12 years or older. 4% – 10% dilution for spot or regional massage application. Tea Tree oil for foot fungus and Lavender on burns or bug bites are examples when you may choose to apply directly without dilution. The size of the drop will vary depending on the following: Size of orifice reducer, pipette or dropper used, viscosity of the essential oil and temperature. 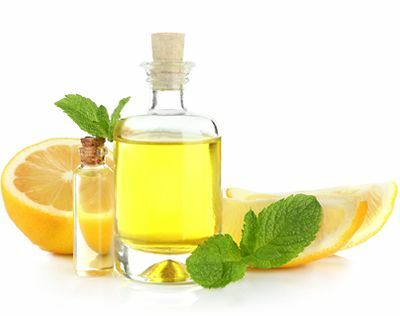 When blending essential oils, we suggest to first mix your essential oils in a clean glass bottle. After you have created your blend, use the appropriate number of drops for the desired dilution ratio. The number of drops for each dilution percentage is the TOTAL of essential oil drops. Example: 4% dilution is equal to 20 drops; when using multiple essential oils, 20 would be the total combined number. It would NOT be 20 drops of each oil used. Less is more! Pure essential oils are concentrated and if not properly diluted or used in high concentrations may cause skin irritation, sensitivity or adverse effects. Some oils, such as Lavender, are sedating in low dilutions and stimulating in high dilutions. Patch Test: When testing for sensitivity to a specific oil, whether that be on yourself or your client, blend the specific oil to be used in the chosen dilution and apply to a small area before using it on a larger area of the body. Please Note: These are general guidelines and each individual’s overall health and well-being must be taking into to account when choosing specific essential oils, methods of application and dilution ratios.